I was lucky enough to attend two different presentations on the subject of growth hacking and digital marketing tactics; I love the start-up scene in Sydney. On Wednesday (25/03/15) night and Thursday (26/03/15) night. Both presentations were part of meetup groups. The “Growth Hacking” presentation on Wednesday was about how Brian Ritchie rapidly grew Go-Catch (http://www.gocatch.com/). There were approximately 120+ people in attendance. The “Online Marketing Tools and Tactics” comprised of a panel of speakers where the audience could ask any questions and extract knowledge from an awesome line-up of speakers. The “Online Marketing Tools and Tactics” comprised of a panel of speakers where the audience could ask any questions and extract knowledge from an awesome line-up of speakers. 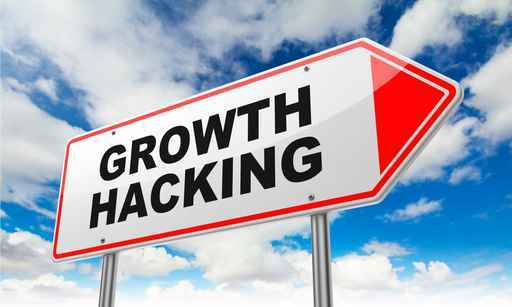 The term Growth Hacking involves selecting a marketing channel and strategy to grow your business rapidly. The term ‘Hacking’ does not mean “computer hacking”, it means getting to a result quickly via a creative technique. The other element that is quite often synonymous with growth hacking is being a ‘disruptive business’- a great example of ‘disruptive’ is Airbnb and how disruptive it is to the hotel industry. Brian grew a key metric of completed taxi rides by 37% while reducing channel marketing spend by 83%. Amazing stuff. Brian has made an occupation of turning companies around. Great presentation. The surprising thing about Brian is that he announced “Why Growth hacking is a bulls#$t fad” (sorry I cannot used profound language on this PG13 blog). His methods are systems that are reliable and repeatable. His approach is to measure and refine. He detailed a 5 step method to Growth that can be found in Brians’s slideshare. The focus is understanding the segment intimately, so you can gauge their preferences, habits, time of day of engagement. With this level of detail, you can create a feature set that can satisfy their needs and as a result you can increase factors such as frequency of use. He did mention the different approaches in analytics taken by Kissmetrics vs Google, the former being user-centric vs page-view centric. A different style of presentation. It was a panel style presentation where the audience people could fire any digital marketing questions at the panel members. It was held in the “very cool” office at Blue Chill (wish I worked in such a cool environment). Katie, our host, gave us a quick insight of what each speaker achieved. The most surprising result was that of Canva website visits went 250K to 800K in 4 months, damn amazing! and we were all hanging off our seats and wondering how this was achieved. The story behind Canva success is Analytics and Content Marketing based. Andre observed what content his audiences’ liked from the Canva blog website and his competitors. He then looked at producing better content, for example – producing longer more detailed posts, listing more solutions in his post (instead of top ten.. the post went to top 25…), etc. Just concentrating this fundamental activity quickly yielded results. He used tools such as BuzzSumo to find interesting content. BTW – I am a firm believer of good Content Marketing. I have seen many individuals and start-ups do well by simply producing great content. The two content marketers I love reading are Dan Norris and Pat Flynn. is a social media specialist and a ton of great advice. 1. Metrics – as a website owner it is your responsibility to know things like conversions, types of visits, current sources of traffic. Without some basic metrics it is hard (impossible) to measure any social campaign; both the consultant and business will miss their objectives. 2. In social media there are so many channels – Facebook, Twitter, Pinterest, Flickr, Reddit, LinkedIn etc. The question was asked “As a start-up – where do I start and how do I keep going maintaining all of the channels’. “Don’t!” was the answer. “Just concentrate on one channel and make sure that the one channel is where your customers “hang out”. Make sure you do a good job on that channel and consider spilling over content to other channels once you have mastered that one channel. My main takeaway from Liz is that experimentation is vital. Her business is catering, food is very visual so it would be easy to assume that Pinterest or Facebook would be the channel that would have the biggest impact. The contrary was true – her biggest source of referrals is Twitter and LinkedIn. The channels that offer very little visuals. She found that the notifications aspects of Twitter were the big factor to generating PR for her company. It was just as important to market to the “eaters” as well as the person organizing the catering (her direct customers). Again she reinforced the message of hanging out in the channel of where your targets are. Final words about online marketing tactics and growth hacking? Despite the resistance, I like the term “growth hacking” because it forces my mindset to focus on a limited number of channels and activities. Because I have been exposed to traditional marketing and Growth Hacking, my biggest observation is the change in personalities to run a successful growth marketing. Marketers in the 90s. 2000s were normally brash, outgoing personality types because marketing back then involved advertising, commercials, placements etc. From what I have observed, particularly in Brian and Andres case, is that both guys came from an engineering background, both have analytical minds and both paid attention to tweaks and numbers which determined the strategy that was taken and not the other way around. If you take the time to read Ryan Holiday book he gives some insights to engineers running Growth Hacking solutions that a traditional marketing guy would have never come up with. Some of these stories have resulted in the huge success of Dropbox and Reddit. Today we have the technology that can measure anything digital. From the information presented we can employ methods of observation, analysis and experimentation and quickly create marketing/growth campaigns and strategies.